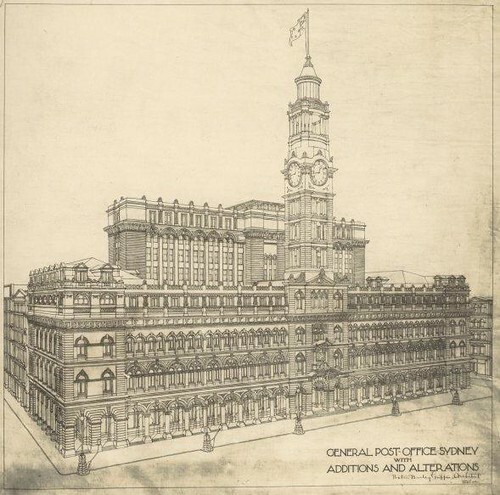 His design for the Sydney Opera House is particularly interesting in comparison with the more recent building. Was this design built? Are there any perspective views available? I'm fairly sure it wasn't built. You'll have to trawl through the image archives to find out if there are any other plans. Oddly, that sketch is dated a year after Griffin's death. Perhaps that's when it was completed or catalogued? 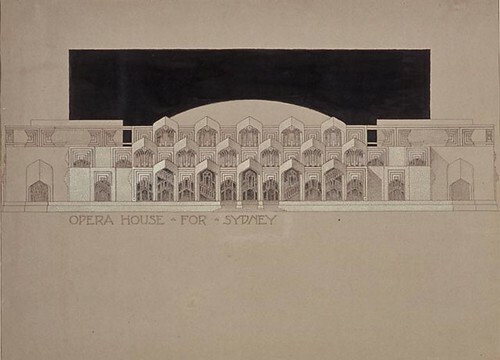 The design competition for which the well known Opera House was chosen didn't happen until much later. See this. Lovely and informative as usual peacay. Stuff like this gets me where I live, so to speak, and sets my heart longing, I almost always get that reaction, too, when I visit your blog. I must say I am much taken with the incinerators. 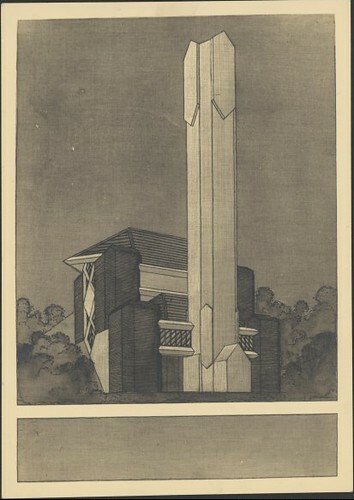 It's true that Czech functionalist architects did a lot of crematoria around the same time, but I gather there was a big fashion for cremation in the 20s and 30s, whereas my knowledge of municipal incinerators is absolutely nil. It's hard to imagine municipal incineration having quite the same appeal for the average person as cremation (said she, having just returned from spading some cremated remains into a nice miniature-size unmarked grave). The theater design, by contrast, ends up looking like any old Art Deco-ish movie house. Nice but nothing remarkable. I wonder if the incinerators are still in operation? And therein lies its charm. I like them built or drawn. This one is still alive. I think it might take some serious delving to work out which of the plans were actually realised. There are very few incinerators surviving methinks; that sort of approach to dealing with garbage etc having mostly fallen out of favour in the 70s. I wonder if hospitals still have them? I know my local one was appropriated at times for disposal of contraband. Please remain where you are. Officers from the Pittsburgh Police Dept. will be with you shortly. I suppose the grave wasn't totally unmarked. We left some daffodils and the like. No slight meant to Art Deco theaters. I was very excited when the one around the corner from my parents was renovated. (Photos of same are scattered around its site.) And I have been known to frequent the Paramount (Wikipedia entry here) and the Castro. 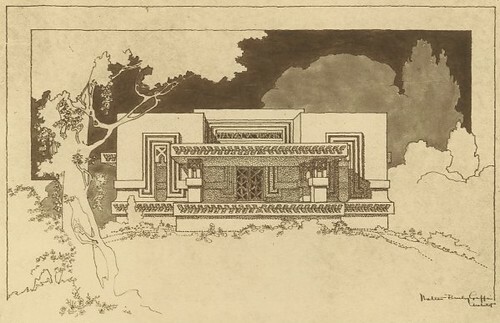 I'm planning to add some Walter Burley Griffin to the syllabi. Oops. Sorry Karla. Milt -- I remember your posting about his passing. I had something totally different going on in my mind's eye. 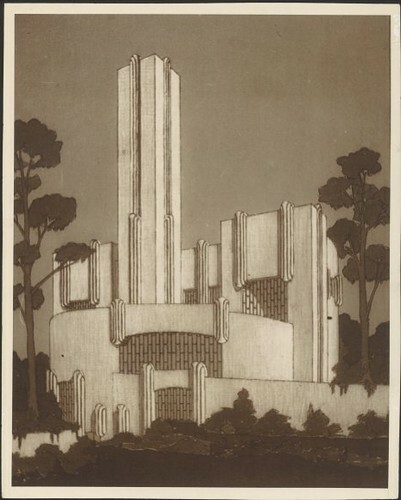 And yeah, I'm quite a fan of art deco architecture (and other manifestations come to think of it) and it does evoke a Hollywoodesque and movie nostalgia feeling. Movie theatres and art deco are married for eternity, even if only (eventually) in history books. There was a great episode of Compass (ABC), and an article in NEXUS, all about the esoteric & specifically anthroposophist influences in the Burley Griffins' designs, and the incinerators were among my favorites. More than merely waste disposal units, they were altar shaped portals where matter was transmuted into energy. Thanks for posting these great images. Thanks very much Richard. I see there's more to that Griffin comment -- "an ideal city" -- than meets the eye. 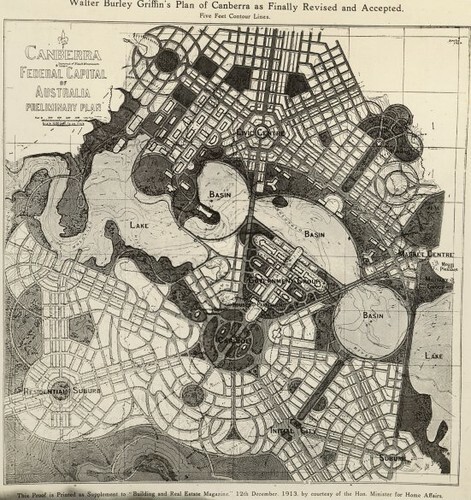 The Compass transcript is online and here is Professor Proudfoot's "The Secret Life of Canberra" from 1994. There's also a Nexus abstract by Proudfoot and Grahama Pont from 2002: 'From Cosmic City to Esoteric Cinema: Pythagorean Mathematics and Design in Australia'. They all sit in the freemasonry rather than architecture shelves I suspect. There is certainly something transformative and ethereal about those chimney stacks but I'm not so sure I'm persuaded to view Canberra as an element of a "civic religion". Perhaps I've been there too many times. I live about three blocks from 104th Place in Chicago, which has the honorary name of Walter Burley Griffin Place. Over a two block stretch, there are seven of his houses. Nothing as cool as these designs, but they are still pretty neat. And the conversation continues at BB. Thanks Marcus. 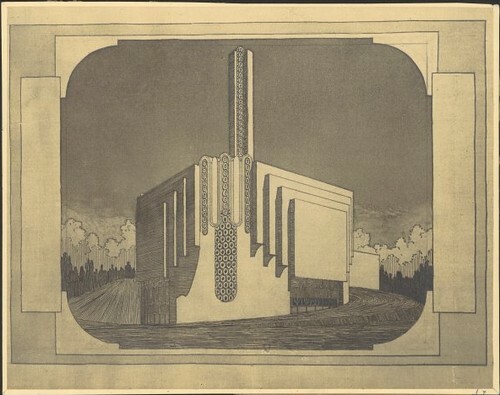 Unfortunately the plans on display at NLA are often lacking in details: "unidentified municipal incinerator" doesn't quite do it. There's a couple/few more incinerators via google images too. 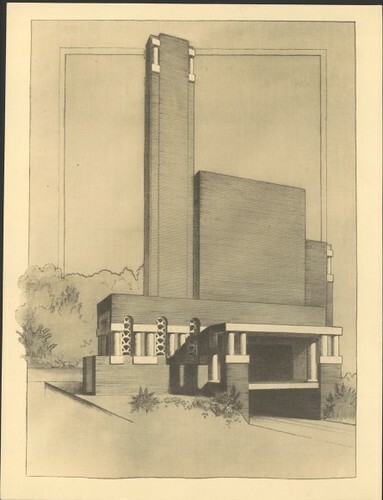 Revisiting this ever-fascinating topic, yes, I think I'm absolutely going to have to put at least one of these incinerators into the modernist architecture portion of Intro to Modern (along with a Czech functionalist crematorium or two... I've already got Janák's rondocubist crematorium in Pardubice inserted, thanks to a Wikipedia photo). As for civic and jazz-age religion, well, I'm not sure what was fashionable, but a few years earlier there was certainly that proto-New-Age craze for theosophy and related spiritual paths. If there was an artist around 1910 who was not into theosophy, I'd like to know who it could have been (no, don't reveal that there were hordes, it would shock my tender sensibilities). And I'll be sure to let you know next time I shovel ashes into an unmarked grave. You never know who I might be disposing of. I like how they tack 'theoretician' to the list of accomplishments/c.v. of Janák. I think I'll have to add that to my own, much more pedestrian, list of skills. "The period after the war is often referred to as "Rondocubism", or the "National style" as it was called at the time. Rondocubism is a specific Czech version of Art Deco, using motifs of folk architecture and national colors." That rondocubist Crematorium at Pardubice is quite surreal, nearly cartoon-like. Me likey. Enjoyed your posts on Griffin. The municipal incinerator in Holmes Road Moonee Ponds has been converted to a performing arts venue. 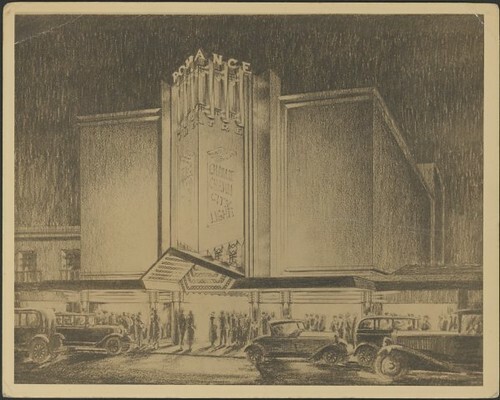 But the gems of Griffins work in Melbourne include the remarkable Capitol Theatre (1924) - probably his only cinema design (where he reputedly neglected to include a bio=box in the design!) and Newman College at Melbourne University. Happy to send images to anyone who wants a look at them. regards Robin Grow, President Art Deco & Modernism Society Melbourne. How come Blogger forwarded Rob's comment to me and not its immediate predecessor...? 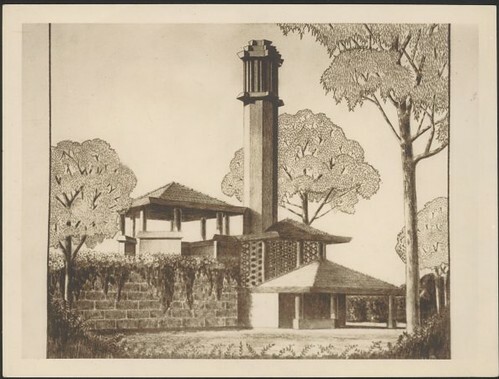 Good thing Rob was prompting me to say that I did put Griffin's Australian incinerators in my lecture and that now that I've got more space to devote to Prairie School architecture (different course), I might throw in more Griffin. As for Janák, I think we can definitely call him a theoretician, which is not something I'd say of every Czech modernist architect. 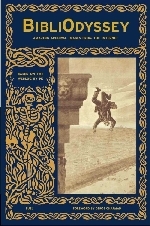 Unfortunately not much of his writing is translated, and I haven't had cause yet to read it in Czech (which is probably just as well).